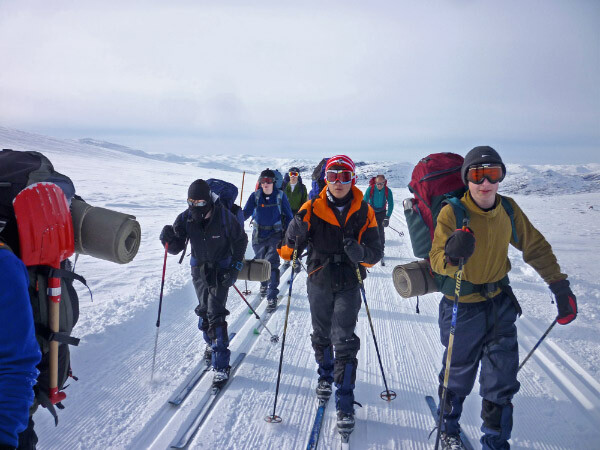 Objectives: to introduce the art of cross-country skiing and winter survival to seventeen cadets and thereafter complete a three day expedition overnighting in a snow hole on at least one of the nights. 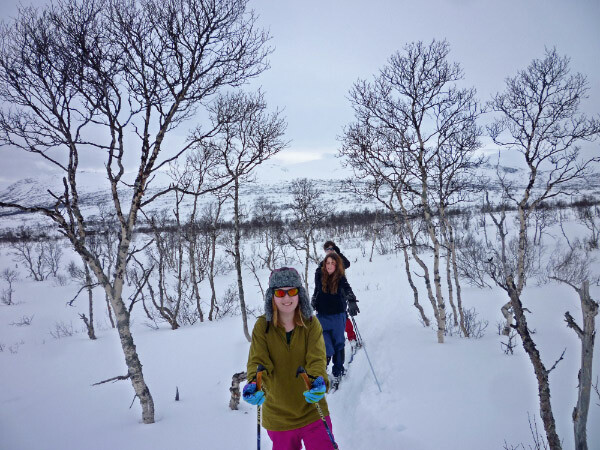 Our aim for the week was not only to learn core cross country skiing skills for a three day mountain expedition, but also to have lots of fun. We certainly achieved these objectives and would like to thank The Ulysses Trust immensely for its support. 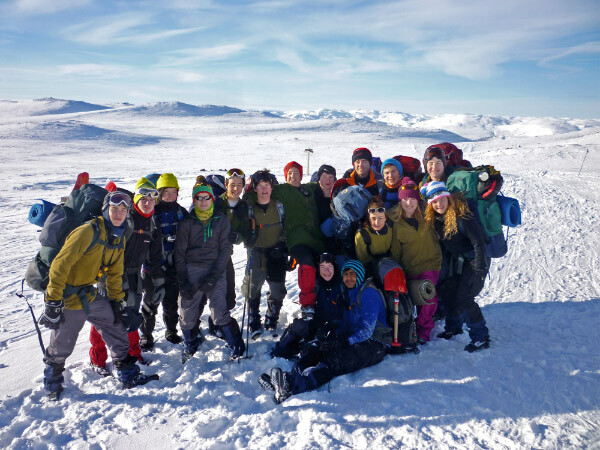 Day 1 – After settling into the very welcoming HovdenFjellstoge, our first day was focused on kit, health, safety and some basic skiing skills. As the pupils ranged from complete beginners to experienced Alpine skiers, our instructors split us into three teams (the advanced “Team Glen”, the intermediate “Team Jay” and the novice “Team Jerry”). It was a perfect introduction to the week ahead. Day 2 – Following a hearty breakfast, the three teams set out on their adventures. After some early wobbles and “Bambi style” falls, the teams soon got back into the rhythm. Team Glen crossed frozen rivers, Team Jay showed off skills on the Hovden race track and Team Jerry trekked across a frozen lake and even attempted the “Telemark Turn”. 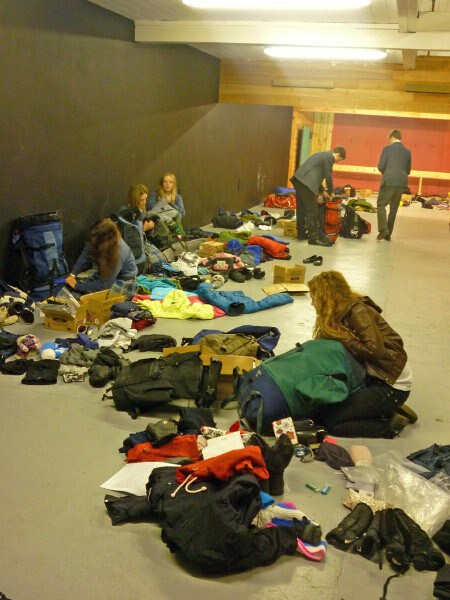 As well as improving our core skills, we also learnt the importance of making sure we had all the suitable kit which served as excellent practice for the forthcoming expedition. Day 3 – With the sun beaming, the focus of today was on technical knowledge and skills ahead of the expedition. This included where and how to build a snowhole using skis and shovels. In addition, Team Jerry braved some deep off-piste snow, Team Jay learnt how to keep warm in an emergency snow shelter and Team Glen enjoyed burying one of its members in a “snow grave”. All teams learnt to use avalanche transceivers (like walkie talkies but for avalanches!). Despite being the coldest day so far, everyone persevered and ploughed on. Day 4 – With one day to go until the expedition, excitement was gradually creeping through the huts. Conditions were perfect with clear blue skies and temperatures around -7C. Team Jerry made some finishing touches to skiing skills, Team Jay inflicted the “domino effect” fall on itself and Team Glen took on one of the steepest runs faced yet. Following some last-minute preparations for the expedition, it was an early night for everyone. Day 5 (Expedition day 1) – The breakfast tables were buzzing as we prepared for the three-day challenge. After a gentle ski out of Hovden, the teams proceeded through breathtaking scenery 13km towards the first stop at Tjornbrotsbu. The further we skied, the fewer people we met. We faced a very arduous climb to reach the huts and had to climbs these gradually to avoid slipping over. We arrived at the very cosy huts, made a brew, introduced ourselves to army ration packs and enjoyed a good chin-wag into the night. Day 6 (Expedition day 2) – After an energy-filling breakfast, we set off on our 14km journey towards our second stop at Berdalsbu. Conditions were icy, temperatures were harsher and the terrain posed a different sort of challenge to previous days. We traversed through some beautiful wilderness before reaching the edge of a hill to begin our descent to where we would build our snow holes. The snow was so deep that some of us had to walk down with it up to our waists. The troopers started shovelling away carving out the snow holes. Unfortunately, the hostile weather forced us to abandon this site. However, we improvised by building “quincies” to sleep in. We ate our food, lit our candles, jumped in our sleeping bags and bivvy bags and put our heads down in our snow shelter. Day 7 (Expedition day 3) – Following a restless night’s sleep in freezing conditions, we devoured our breakfasts and skied a stunning and scenic 6km through woods to the finish line. Everyone much enjoyed the visit to the swimming pool to relax after the strenuous week followed by a delicious and much-appreciated dinner. We wrapped up the day with awards for each of the pupils and the instructors and recalled our favourite moments. After packing up, we said goodbye to Hovden and made our long journey back to Canford. It was an absolutely fantastic week for all of us. Not only did we learn a huge amount about cross country skiing in extreme conditions, we also ascertained more about ourselves as individuals and as team members. Everyone was there for each other, whether it was to pick up a friend from a fall or to share a jacket for extra warmth. We would like to reiterate our thanks to The Ulysses Trust for its contribution to a unique experience we will never forget. What a lot to pack!